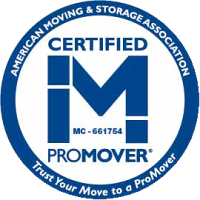 Dallas Movers | Movers Dallas | Dallas Moving Companies | Local Movers • Looking for a Moving Company? Looking for a Residential Moving Company? Perfect Packing. On-Time Transit. Dependable Delivery. That’s Garrett’s Promise. Wherever life takes you, Garrett's Moving and Storage pledges to get your possessions there safely. From packing to loading to overnight storage, Garrett’s Moving and Storage is your one stop local moving solution. We know long-distance moving can be especially tough. Garrett’s Moving and Storage specializes in long-distance moves anywhere in the United States. So wherever you're headed, you know your possessions will be in good hands. 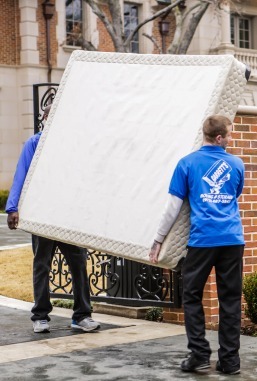 Let’s go step-by-step with what you can expect from the Garrett’s moving experience. Your friendly crew arrives on time and pads and shrinks wraps your items for added protection and moisture resistance. They move your items with the upmost care from your home to the truck, taking great caution to avoid damaging your possessions. And when you arrive at your new location, the Garrett’s Moving and Storage truck is right on time and your items are in perfect condition. Sound like a refreshing approach to moving? Fill out the form on the left and a Garrett's Moving and Storage representative will contact you within 24 hours. We know you have a lot of choices when it comes to choosing a moving company. Here are a few of the things that set us apart from the other guys. Most moving companies move your furniture outside, and then package it. This increases the chance of your furniture incurring dings and damage. Garrett’s Moving and Storage, on the other hand, shrink wraps and packages your furniture inside your home to prevent damage from occurring. And the best part is, this comes standard with our residential moving services at no extra charge. We know moving to a new home can be an exciting yet stress-filled time in your life. Let Garrett’s Moving and Storage take the weight off your shoulders and handle your entire residential moving experience so you can focus on what’s really important, this transition in your life. Moving from a high rise building can be complicated. Your possessions will be traveling on an elevator or a flight of stairs, and can become easily damaged in the hands of a mover that does not know how to maneuver these obstacles. Garrett’s Moving and Storage has extensive experience in these types of moves so you can be assured your items will arrive to their new location in perfect condition. When it comes to moving an estate, you need a company with experience in this sometimes difficult area. Our crew is trained to pack and crate furniture, artwork, antiques and other items of an estate. You can count on Garrett’s Moving and Storage to make sure each piece makes it to its new owners in perfect condition. Need to move out of your home immediately? We have same-day and next-day moving services that take the stress out of your short notice move. As with our regular moving services, we'll offer great service and treat your possessions with the upmost care. We know that moving can be a stressful transition for seniors. The friendly crew at Garrett's Moving and Storage strives to make the moving process as worry-free and comfortable as possible. We will treat you and your belongings with respect. We understand the extra attention and precision needed to move specialty items such as antiques, pianos and cars. Our premium packing process and attention to detail ensures that your items will make it to their new destination in perfect condition. Whether you're moving across the state or across the country, we can help. Garrett's Moving and Storage will service your move, including the option for packing and unpacking services, shrink wrapping and the convenience of a single moving crew throughout the moving process. Request your FREE estimate. Discover why Garrett’s Moving and Storage is the leading moving company.